(Moshe Feiglin leads Manhigut Yehudit (Jewish Leadership Movement) the largest faction inside the Likud party, and strives to restore Jewish values, pride and integrity to the State of Israel). "Honorable representatives of the nations, I chose to come here today to tell you the truth. Since the miraculous war in which the G-d of Israel led us to redeem Jerusalem, the Temple Mount and Israeli territory until the Jordan River, a strange costume ball has been taking place in this building. The Jews come to the ball masked as Israelis, the Arabs come masked as Palestinians and everyone talks about a land that does not exist and never did: Palestine. Today, on the eve of Rosh Hashanah, the day on which the Jewish Nation declares the Kingship of the Creator over themselves and the entire world, I have chosen to come here to remove the masks. Your (non tax-deductible) charitable donation to JewTube.info here will help us to keep you informed -and to defend the sanctity of the G-d of Israel and the honor (and safety of) the children of Israel in the public forum. We provide a unique brand of relevant news about Jews, both aggregated and originated (with original produced video). May you and your loved ones be inscribed for a year of health and happiness! Actor and civic activist, Jon Voight, spoke-out at the Chabad TV Telethon, both on-air and exclusively with JooTube, about the need for defending the legitimacy of Israel as the state of the Jews- and expecting it from Palestinians and other potential neighbors in future peace agreements. Caroline Glick elaborates in her column in the Jerusalem Post, "Israel's Path to Victory"
Israel’s sovereign rights to Judea and Samaria are ironclad while the Palestinians’ are flimsy. As the legal heir to the League of Nations Mandate for Palestine, Israel is the legal sovereign of Judea and Samaria. Moreover, Israel’s historic rights to the cradle of Jewish civilization are incontrovertible. And yet, because Israel has not wanted to impede on the possibility of peaceful coexistence with the Palestinians, for the past 18 years it has avoided mentioning its rights and instead focused solely on its security requirements. Consequently, outside of Bible-literate Christian communities, today most people are comfortable parroting the totally false Palestinian claim that Jews have no rights to Judea, Samaria or Jerusalem. They further insist that rights to these areas belong exclusively to the Palestinians who did not even exist as a distinct national community in 1967. Los Angelenos should go enjoy "The Stories of I.L. Peretz," an original theatrical performance by Matt Chait and Lior Kaminetsky, in its premiere run at Hollywood's the Complex through October 9th. Messrs. Chait and Kaminetsky spoke with JooTube about the show's appeal to both gentiles and Jews. Israeli Parliamentarian, Danny Danon declares, "Pres. Obama, take your hands off of Jerusalem and the Western Wall; Protect the Jews of Judea!" On the 34th anniversary of the reunification of Jerusalem, Israeli Member of Knesset, Danny Danon, head of the World Likud movement, tells Pres. Barack Hussein Obama - "Take your hands off the Old City. Take your hands off the Temple Mount & the Western Wall. We will continue to build the communities in Judea and Samaria. We will make sure that all the Jews will remain there. ... Come to live in Israel. We will make sure that the Jews will be able to live all over the Land of Israel." Danon gave this declaration at the 18th annual, pro-Zionism rally in NY's Central Park, on Sunday June 5, 2011. He is currently touring the United States again. At 9/11 World Trade Center site, Chaim ben Pesach of the Jewish Task Force (JTF.org) addresses imperialist Islamist motivations for terror to intimidate the west into subjugation, President Barack Hussein Obama's Muslim cultural and poltical affinity, his policies which abet and bolster Islamic fundamentalist power and also hamper Israel; Mr. Ben Pesach addresses how he feels Israel-concerned Americans ought to be considering replacing Barack Hussein Obama as president in the coming elections. At NYC 9/11 Memorial Site,Chaim ben Pesach, director of Jewish Task Force, reflects on anti-Semitism; revealing how in 1990-91 the FBI, CIA, and NYPD ignored 40 boxes of evidence of the terror networks which could have averted both attacks on NY's World Trade Center- because it was in the possession of a pro-Palestinian, anti-Israelist (El Sayyid Nosair) who assassinated Zionist-leader Rabbi Meir Kahane. Nosair operated in association with the architect of 9/11, Khalid Shaikh Mohammed, "Blind Sheikh" Omar Abdel Rahman (who was being protected in NJ for collaborating with the CIA in Afghanistan), Ramsi Yousef (nephew of KSM), driver Mahmud Abouhalima (who later drove the '93 World Trade Center bombers). Read "Was KSM Behind the Murder of Meir Kahane?" 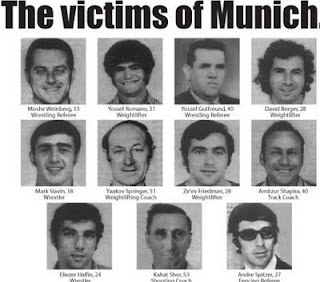 39-years-ago on this day, September 6, 1972, the world was shocked as Islamist terrorists kidnapped and murdered Israeli athletes at the XXth Summer Olympic Games in Munich, Germany. This is an archived video of ABC News' coverage of the "bloody Olympics" atrocity (at which 17 people, including 11 Israelis, were killed), hosted by ABC News' anchorman, Howard K. Smith. 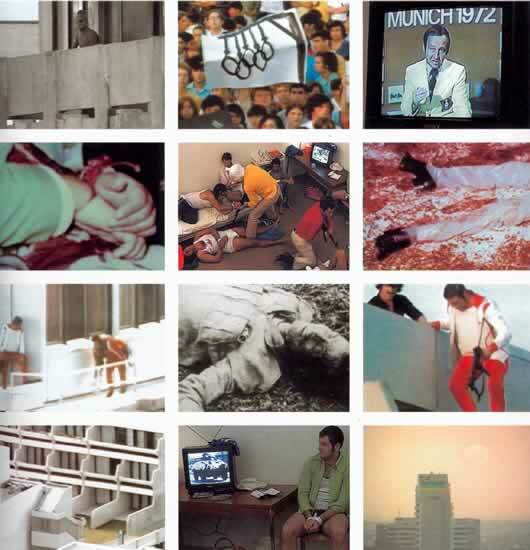 Islamist terrorism debuted to a global public at the Munich Olympics atrocity. 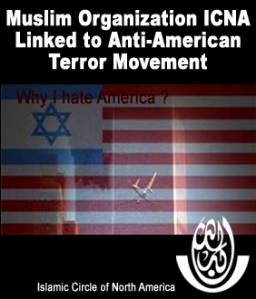 But, like the Islamist attacks on NYC's World Trade Towers 29-years and 5-days later, the mass-media has framed (and the public has been led to believe) acts of Islamist terror as a response to some Western (including Israeli) affront against benign Muslims. The P.L.O. 's Black September terror killings of Jewish athletes in Munich are misunderstood to be a response of a nationalist Palestinian movement seeking for Israel to "de-military occupy" militant Gaza, Judea, and Samaria. 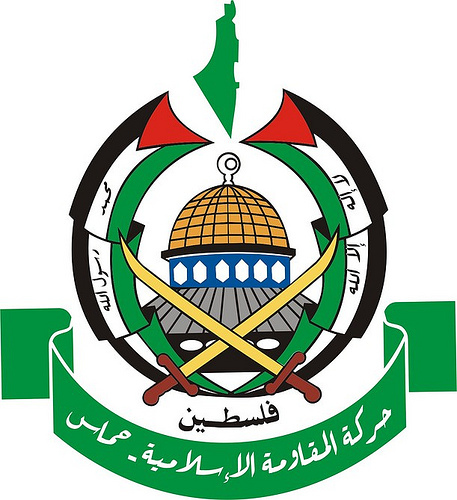 On the contrary, Palestinian ambitions are to conquer all of Israel under the flag (and spiritual influence) of Islam (just as al-Qaeda's Islamic imperialism seeks to elevate Islam over Christian, democratic America, and all of the non-Muslim world). 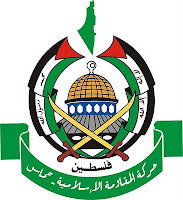 Palestinians evidence their aspiration to conquer all of Israel prima facie of the logos and seals bearing the geographic image of the actual state they seek - the map of all of Israel.